So Chris and I have just gotten back from our summer holiday in Singapore and Taiwan, and of course I had to bring back some new summer beauty finds. :) We had the loveliest holiday, with lots of sun, beach and Asian food. We've also just welcomed a little one into the family!!!! but more about that next time. :) As for now - here are some new summer finds that I've been absolutely loving. While I was in Asia, all the time under the sun and at the beach had earned me quite a tan, so I had to get a new foundation shade to match my new colour. I had heard so much about Shu Uemura products for a long time now but they had always been quite pricey in UK, so I just had to go on a bit of a Shu Uemura splurge while I was back in Asia heh. 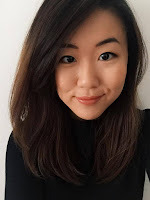 I approached a Shu Uemura counter and requested to be matched for a foundation shade, and with all that heat in Asia I decided to try a powder foundation for a change. I decided on the Lightbulb UV Compact Foundation, which provides light to medium coverage which was perfect for summer. 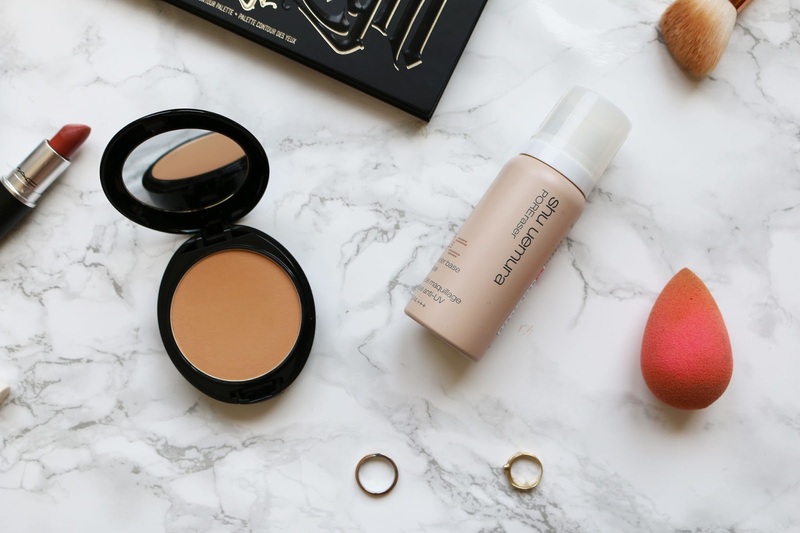 It settles so nicely on my skin and doesn't cake at all, and it's been my go-to foundation for a while now. While I was at the counter I also picked up the Shu Uemura POREraser, and I've been loving it so much so far! It is a tinted mousse primer that really covers up my pores and mattifies my skin to prepare for foundation application. It kept my face oil-free for a long time and that's saying something because I was constantly under 35 degree Celsius heat! The UV protection of 35 PA+++ was an added bonus considering where I was. Half a pump gets you enough product for the whole face, and you would think with all that mousse it would feel overwhelmingly thick on the skin, but no - it felt so light-weight and non-greasy on the face. :) I can't recommend this enough! And of course, a trip to Asia isn't complete without splurging on Korean beauty products. :))) I've been the biggest fan of Innisfree since I became a Kbeauty convert, so I had the biggest splurge at Innisfree when I was back in Sg. 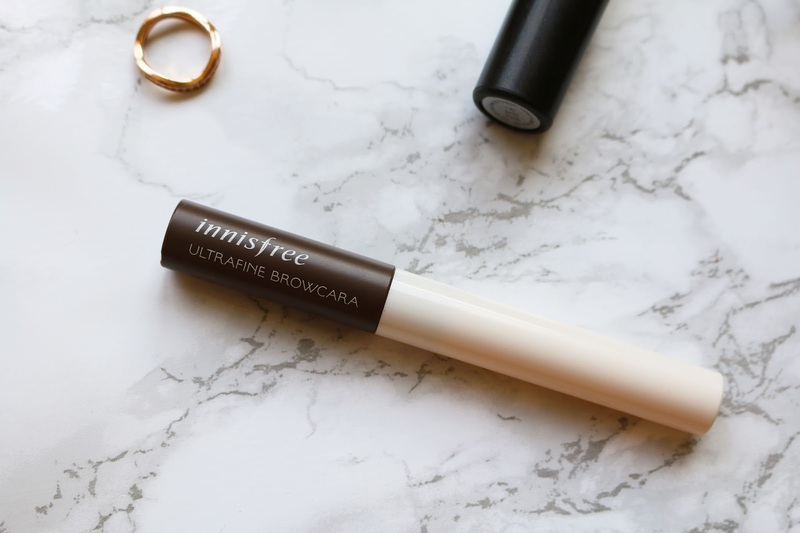 I've been on the hunt for a good brow product that would hold my brow hairs in place for a long time now, and I've been so pleased with this Innisfree Ultrafine Browcara! My brows stay in place all day, and they look fuller too. It costed me 10SGD (around £5) which I thought was such a bargain, especially compared to brands like Benefit with brow products that cost £20++. I've also just discovered that you can get these on Cosmetic-Love for just a little less than £6 here, which isn't far off from the price in Asia! This palette is the dream matte eyeshadow palette.. I have no words for it. Every shade is so buttery, pigmented and blendable, and melts into the skin when applied onto the eyelids. You can create so many looks with this palette! 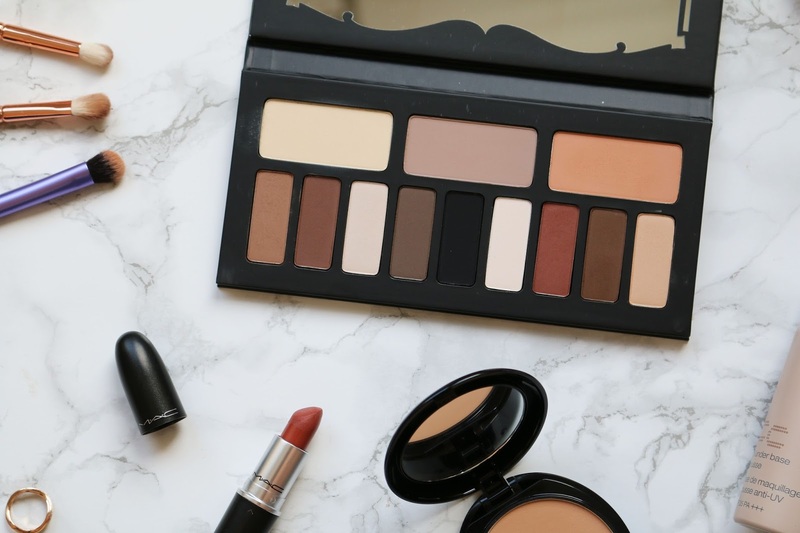 It consists of three quads of neutral, cool and warm shades, although I just mix them around by using the browns and beige for an everyday look, the lighter shades for a highlight, and the black shadow when I want to line my eyes. The black eyeshadow is also the darkest and most pigmented black eyeshadow I've ever tried, but it's no surprise coming from Kat Von D herself. Honestly every shade is perfection... 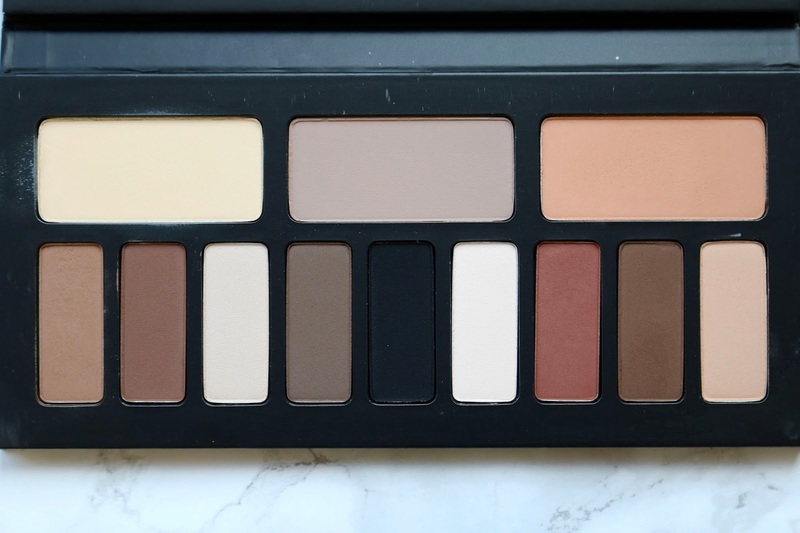 This palette is perfection. I honestly can't decide if this or my Too Faced Chocolate Bar Palette is my favourite anymore.. I bought it for 65SGD (around £35) and it's probably the best few bucks I've spent in a long time. :))) Kat Von D doesn't stock in UK at the moment but I've seen an online beauty store that sells it for £52 here. I love the look of the Kat Von D palette - shame its not sold in the UK! This palette is the absolute dream! 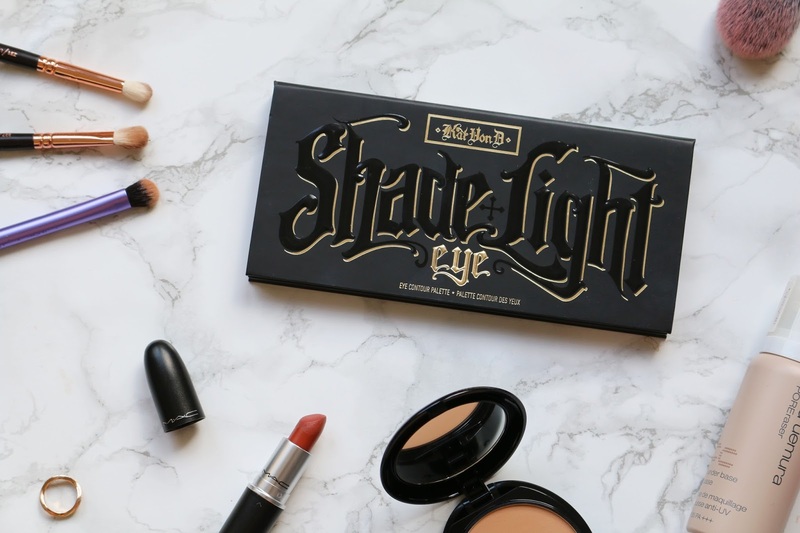 I'm really hoping Kat Von D will launch in UK one day, they've got so many great products! That Kat Von D palette is beautiful, all of the shades are so nice and wearable! !